July Good Beer Month, Mezcal y Barbacoa Discount Code, Summer of Gose! It’s time to celebrate the great craft beer movement that is recognized every July in New York City! The Eighth Annual July Good Beer Month has returned and we'll be launching our events with a kick-off party featuring Derek Dellinger of Kent Falls Brewing and celebrity Cicerones for a pay-as-you-go meet and greet. The fun starts tonight (July 12th) at 6PM! Plus, we'll be launching a new art exhibition featuring brewery logos by Ann V. Reilly. The exhibit is appropriately called "Wall of Foam," and will be hanging on our walls through the rest of the month for you to enjoy. In addition to Kent Falls Brewing Company, we'll be featuring beers by Brooklyn's own Strong Rope Brewing. 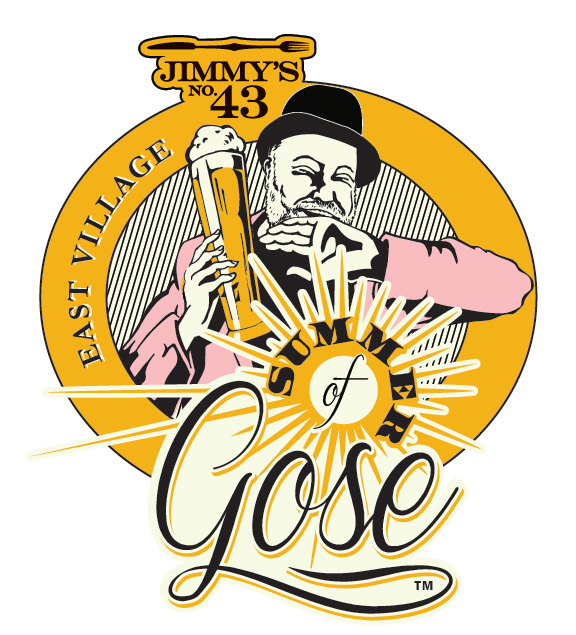 And - of course - it's The Summer of Gose! Come by for a great line-up of the tart-and-salty brews that cool us down while we enjoy summer in NYC. We'll also host this year's Good Beer Seal Awards - where new bars are inducted into the Good Beer Seal - on Thursday, July 21st, at 6PM. The public is invited to come mix and mingle (and drink great beer) at this pay-as-you-go event. We’re proud to be celebrating the month where great beer makers, craft beer, the bars that serve them up and the many industry professionals that make NYC (and NY State) an awesome place to be part of the brew scene. You can keep up to date on event changes and additions at our website (and check event listings to the right). DJ La Huaracaha will provide the tunes with Rana Santacruz providing additional entertainment, and each person will receive a commemorative Mezcal glass. Save $20 on all tickets with the discount code: FriendsofJ43! Get your all-inclusive VIP or GA tickets here. We're always happy to open our kitchen to collaboration, and this month we're welcoming Chefs John McCarthy and Ryan Tate of The Crimson Sparrow for a pairing menu on Monday, July 18th, featuring beer from Hudson Brewing Co., a brand new brewery located right by the train station in charming Hudson NY (brewmaster Jake Crittenden will also be at the dinner). More info and tickets are available here. A second dinner will take place on Monday, July 25th, and will feature a menu paired with the Japanese spirit, Shōchū. Tickets on sale soon. Copyright (C) *2015* *Jimmy's No. 43* All rights reserved.